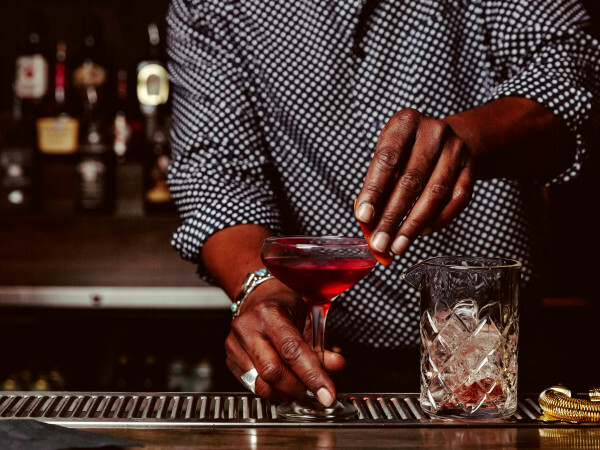 This holiday season, chef Jennifer Costello, one half of the husband-and-wife team that owns The Bonneville, celebrated her French Canadian heritage by running a special menu on Christmas Eve and Boxing Day. She decided to keep one comforting staple dish, adding it to their brunch menu starting this Sunday. Behold: poutine! Sort of a northern answer to green chili queso fries, poutine consists of crispy, hot French fries topped with a brown gravy and cheese curds. Costello has many memories of enjoying poutine in Canada, where it is traditionally sold from converted milk trucks, called “chip trucks,” on the side of the road. In Ottawa, Ontario, the town where she grew up, a five-mile canal runs through the center of town and ices over each winter. Costello recalls ice skating to work and school, or just for fun, and warming up with the savory snack. Costello serves her poutine in a cardboard takeout box lined with a brown paper bag and accompanied by a fork. “It just tastes better that way. Ask any Canadian,” she says. Northcutt says he went for waffle fries “because we wanted to do something that would hold sauce and toppings better — little edible plates comparable to Mitch Hedberg’s take on crackers.” Their cheese curds come from Mill-King Creamery in McGregor, Texas, and Frank offers a list of gluten-free add-ons such as Frank sauce, bacon buttermilk and Cajun remoulade. 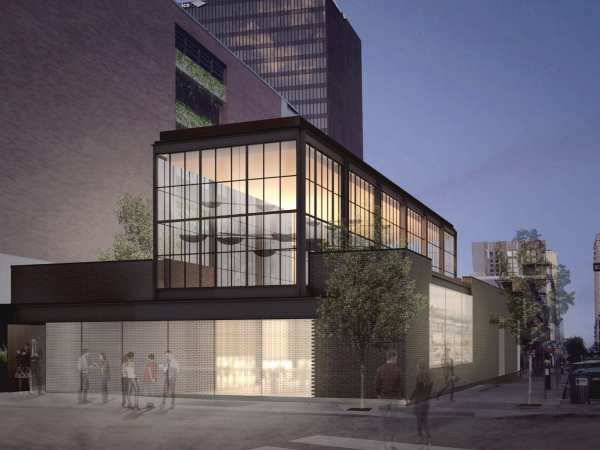 Though currently closed while chef Allison Jenkins focuses on opening laV, her food trailer, Say laV, will open back up this winter, and they have a delicious braised beef and mushroom poutine on the menu. This version, sold in cardboard boats in the backyard of the Volstead Lounge, features thick slices of beef, fresh chunks of mushroom and parmesan in lieu of traditional cheese curds, a perfectly steamy accompaniment to either a hot toddy or a cold beer. Midwest-born Chef Troy Nelson has brought several of his favorite regional dishes to the menu of Haymaker, including beer brats and sauerkraut, Chicago-style Italian beef and a hearty poutine using cheese curds sent overnight from Wisconsin. He offers a traditional dish and a Southern style option, which comes topped with a peppery white gravy and Wright bacon. Try the traditional paired with a slightly sweet hard cider or wash down the southern style with a pale lager like The One They Call Zoe. For theirs, Banger’s uses a housemade brown gravy over crispy fried Kennebec potatoes, local Mill-King cheese curds and a sprinkling of green onions. Word to the wise: share with friends so you can leave room for one of their brats or a seasonal sausage — they make duck, bacon and fig! 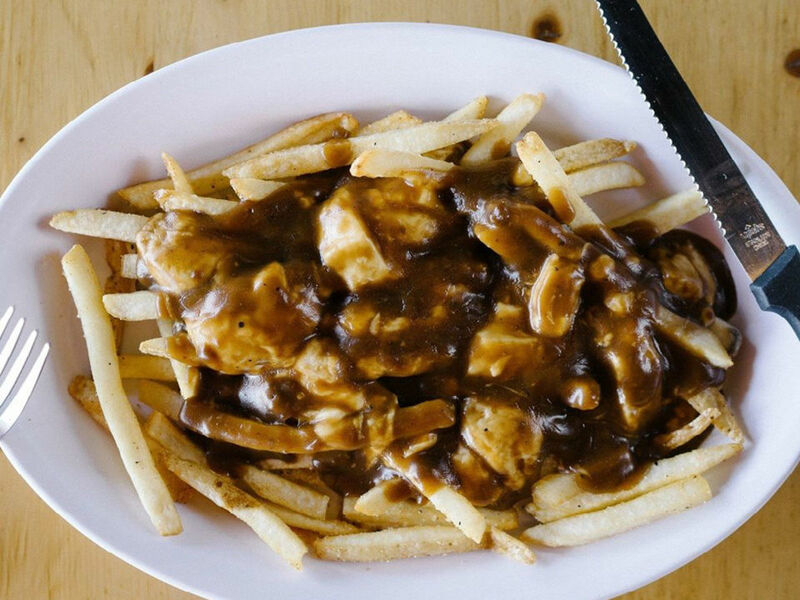 Nothing goes better with a pile of poutine than a side of beer. 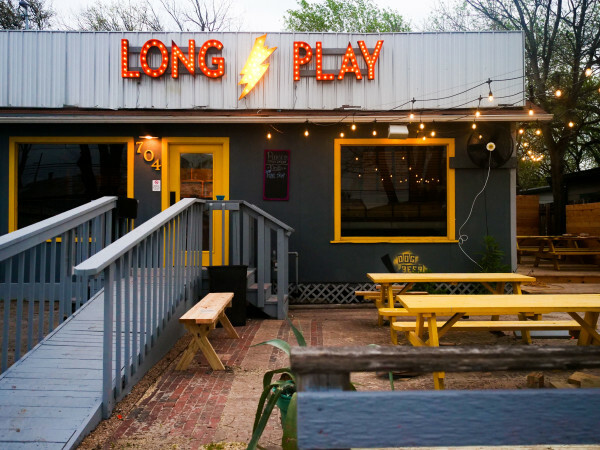 So it was pretty appropriate when Potato.A opened right outside Corner Bar on South Lamar. Get their fresh cut fries "naked" (sea salt and fresh cracked pepper), "barely dressed" (garlic and parmesan), or "smokin' hot" (cumin, cayenne, chili powder), and choose from several poutine options: original Canadian, Italian (bruschetta, cheese curds, bacon bits), Southern (barbecue pulled pork, queso, and jalapenos), or The Glasser (beef and bean chili and cheese curds). $5.00 for a small size is a bit of a steal, eh? Turns out this campus-area sports pub specializes in more than just wings. 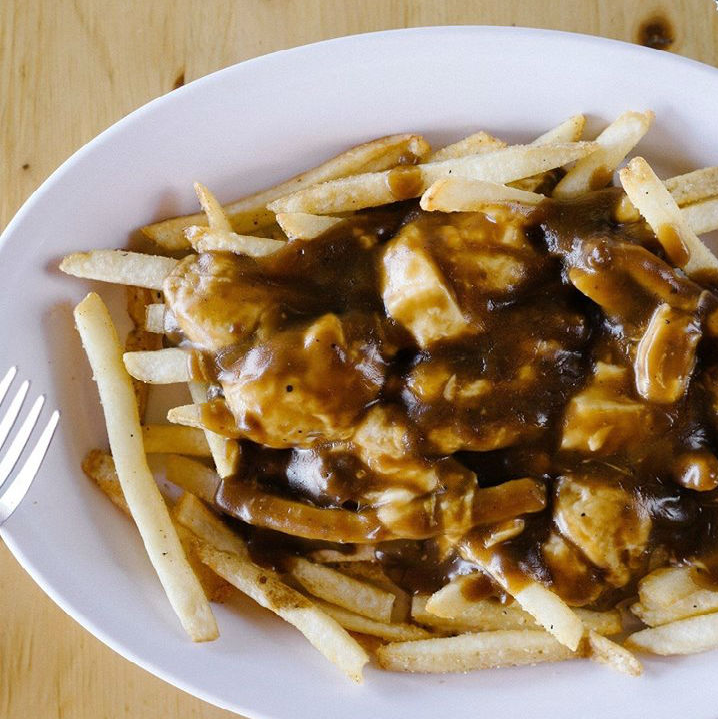 Their poutine options range from the original Canadian style to "Wingzup" style (onions and mushrooms), New York style (chili, bacon, sour cream, onion), and an uber-cheesy veggie poutine (cheddar, Colby Jack, and mozzarella cheese with tomato, guacamole, sour cream, and green onion).